Autonomous vehicles, or AVs, could either help or hurt cities depending on whether they increase or decrease walking, bicycling, transit use and various forms of ridesharing. Pessimists believe we have minimal ability to steer AVs away from increasing congestion, pollution and mobility inequity. Optimists assume that AVs will automatically spawn a new utopia with little or no need for governmental guidance. In a middle of the road approach, pro-activists encourage cities to decide for themselves how to prepare for AVs by developing plans and policies that use the community’s vision and goals to guide AV deployment. Not surprisingly, the American Planning Association recommends door number three. In a 2018 report, APA’s Director of Research advises that “…good planning that prioritizes community goals … will help shape AV deployment in a productive way” (Rouse, 2018, p 20). Communities should envision what they want their future communities to be “… and then consider how AVs can support that vision as part of an integrated transportation system” (Rouse, 2018, p 21). The City of Seattle has taken that advice. In its New Mobility Playbook, Seattle aims to ensure that AVs promote rather than pervert the city’s vision of the future. This plan illustrates how the planning process facilitates logical decisions by basing AV policy on fundamental community values. That may seem obvious. But many cities are clearly forgetting their basic goals in an apparent rush to jump on the AV bandwagon. Here are some examples of how a well-developed plan and policy statement, like Seattle’s, can address the issue of vehicle miles traveled (VMT), which is just one of several questions raised by the labyrinth of AV promises and threats. In the future, personal car ownership will decline as more people rely on Transportation Network Companies, or TNCs, (like Uber and Lyft) and car sharing services (like Zipcar). If AV TNC services generate per-mile costs as cheap as some experts predict, even more households will forego ownership of a family automobile. As the Playbook estimates, Seattleites will be able to save $10,000 by giving up their keys, providing relief to household budgets and liberating capital to stimulate the local economy. In addition, with smaller fleets, the planet will be spared the environmental impact of the resource extraction and energy needed to put a car in every garage. In fact, we will need less garage space, which will reduce housing costs and allow more building space to serve people rather than predominantly immobile cars. These are all positive outcomes. But if everyone switches from driving their own vehicle to riding alone in an AV, the right of way will continue to be filled with cars, preventing the expansion of the public realm for pedestrians, bicyclists and transit. Optimists assume that this will not happen because commuters will increasingly use transit or other ridesharing modes with little or no encouragement. 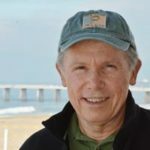 That opinion contrasts with projections that vehicle miles traveled, or VMT, will increase because of the ease and convenience of AV transportation as well as the growth of zero-occupant AV TNCs searching for riders. Furthermore, unless VMT is controlled, the gradual shift to electric vehicles powered by renewable energy will not ensure that we meet our climate action targets (Fulton et al. 2017). As pessimists also point out, basic economics teaches that lowering travel costs will inevitably induce more travel. Logically, with reduced cost, people will be less financially inclined than they are today to choose high-occupancy modes without additional motivation. Seattle acknowledges the potential for AVs to increase VMT. But rather than passively accept the “leave it to chance” outcome, the Playbook provides policies aimed at proactively controlling VMT. As detailed below, the Playbook incorporates a Preliminary Automated Mobility Policy Framework providing Principles for Automated Mobility and 47 individual policies, several of which address the need to manage VMT. As our fleet transitions to electric vehicles, the gas tax will become even less effective in financing roadway construction and maintenance. Consequently, most observers assume road use charges are inevitable just to keep roadways from crumbling and bridges from falling down. Per mile road use charges, an option proposed in the Seattle Playbook’s Policy ME5, addresses VMT simply because vehicles that travel more would be charged more. This relatively straightforward approach should discourage many people from the most profligate travel behaviors. For example, some observers fear that AVs will induce sprawl because people will be able to sleep, work or recreate while their robots drive them to work from increasingly remote locations. A per-mile user charge should prompt most people to think twice about the total cost of moving to the country. Some experts advocate imposing fees that charge more per mile for zero-occupancy and low-occupancy vehicles. In addition to raising revenue and discouraging unnecessary travel, this approach, included in Policy ME5, motivates increased ride sharing which controls VMT both by reducing mileage and decreasing the number of vehicles needed to serve mobility needs. Similarly, Policy ME 6 proposes that high-occupancy AVs be provided with road use fee discounts or incentives. London and Stockholm impose fees on certain vehicles entering congested corridors and zones. Congestion charges, included as an option in Policy ME5, reduce the sheer volume of vehicles in downtowns and other severely impacted areas. In addition to raising funds and managing VMT, this strategy implements Policy RP1, which prioritizes rights of way for pedestrians, bicyclists and transit users. As an additional permutation, Policy ME1 proposes a tiered per mile road use pricing mechanism with elevated charges for zero-occupant AVs, moderate surcharges for single-occupant AVs and reduced surcharges for AVs with two passengers. No surcharges would apply to an AV with three or more passengers using a smart lane. Likewise, Policy RP5 advocates either pricing or restrictions during peak periods in congestion zones for zero-occupant AVs and single-occupant vehicles. Policy RP3 proposes limited access for low-occupancy AVs on smart lanes during peak periods. Some reports from other places advocate that cities create pick-up/drop-off lanes in an effort to accommodate AVs (Chapin, 2016). While well intentioned, such lanes might easily induce zero-occupancy or low-occupancy vehicle travel while ignoring a community’s fundamental goal of expanding pedestrian, bicycle and transit mobility within the public right of way. Instead of devoting entire lanes to pick-up/drop-off activity, the Seattle Playbook calls for an identification of specific curb locations called pin drops: three-minute loading zones that TNCs and micro-transit services can be required to use. Curb side dwell time fees, included in Policy ME 5, would raise revenue, control the amount of right of way dedicated to vehicles and limit VMT with price cues that would ideally motivate people to use the highest priority modes of walking, bicycling and transit. The growth of AV TNCs will benefit private property owners by reducing the number of vehicles that need to be parked on site. But unless per-vehicle occupancy increases, VMT will increase and public rights of way will simply become increasingly congested. Policy LB4 advocates code revisions that reduce minimum parking requirements as demand declines. This policy further suggests that the reduction in development costs produced by the need to build fewer parking spaces be redirected to affordable housing and TDM. Similarly Policy ME4 promotes VMT control by encouraging continued investments in Transportation Demand Management (TDM) and Commute Trip Reduction programs. The above policies are not intended as one-size-fits-all answers to every city’s AV questions. Instead, they are offered as examples of strong and perhaps innovative actions that cities can take when they employ a planning process in which alternative strategies are evaluated by the community’s vision and goals. Although time consuming and potentially contentious, planning can select and support choices that might not be possible or durable if simply copied from another community. A closer exploration of Seattle’s Automated Mobility Playbook reveals how the planning process develops productive policies and strategies by anchoring all decisions to a city’s core values and vision. Chapter 1, Our Changing Landscape, begins with the cautionary tale of how cities surrendered to cars in the 20th century. Chapter 2, Our Direction, offers a deeper dive into the positive and negative outcomes that AVs could produce depending on whether cities leave the future to chance or proactively shape it. Chapter 3, Our Playbook, establishes the strategies selected to ensure that AVs serve people rather than the other way around and Appendix A, Further Actions, identifies additional tasks within each strategy. Appendix C, Preliminary Automated Mobility Policy Framework, states the principles and policies produced by the plan which will be used to keep AVs on the road to a better Seattle. The Playbook’s Chapter 1, Our Changing Landscape, recites the now-familiar heaven or hell scenarios in which AVs could generate convenient, safe, equitable and affordable transportation or, conversely, congested roadways, reduced safety, insecure data and greater inequality. To clarify these abstractions, the Playbook retells the sad tale of how the private automobile overran our cities in the 20th Century, generating sprawl, segregation, pollution and traffic hazards as well as dedicating most of our public rights of way to cars while forcing pedestrians to the margins of our roadways. This 100-year history of cars in the city succinctly establishes the urgency of avoiding past mistakes as robots take to our roads. “With cars, we forced our city to adapt to the technology instead of shaping the technology to serve the people living and working in the city. The New Mobility Playbook is our chance to forge a different future” (Seattle 2017, p 13). Seattle’s Vision and Values for Transportation – After recounting this historical context, the Playbook firmly establishes its people-oriented foundations by articulating Seattle’s transportation vision and values. A safe city where serious accidents are not assumed to be inevitable. An interconnected city offering a wide range of easy-to-use, reliable transportation options. A vibrant city where streets and sidewalks foster health, prosperity and happiness. An affordable city that offers low-cost mobility to people of all economic means so that household incomes can be spent on other things. An innovative city that offers exceptional mobility today while planning for the technological and demographic changes of the future. Seattle Today – Here, the Playbook does a bit of a victory lap, recounting several notable accomplishments despite Seattle’s title as the fastest growing big city in the US in 2016. One of the safest big cities in America due to Safe Routes to School programs and a Vision Zero plan that aims to eradicate traffic deaths and serious injuries by 2030. Drive-alone commuting to downtown dropped from 35% to 30% from 2015 to 2016. Between 2000 and 2016, the percent of commuters riding public transit rose from 29% to 47%. Locating frequent public transportation routes within a ten minute walk of 64% of Seattle households. ORCA cards allow Seattleites to transfer seamlessly between buses, ferries, light rail and the Seattle Streetcar. Facilitating car-free or car-lite lifestyles in a city where car ownership annually extracts roughly $12,500 from household budgets. Despite these accomplishments, Seattle recognizes that this success has created a virtuous cycle in which the growing use of eco-mobility generates greater demand for better pedestrian, bicycle and transit services. Fortunately, the city is well-positioned to meet that demand since Seattle voters approved $930 million in 2015 to implement Move Seattle, a 10-year strategic plan to continue improving safe travel options while maintaining existing streets and bridges. The Playbook acknowledges that the new mobility presents potential risks as well as rewards. These so called “heaven of hell” scenarios are the subject of many sessions at transportation and planning conferences. But, while many communities adopt a passive wait-and-see posture, Seattle states its determination to steer this process. “Our job is to manage the emerging mobility system so everyone can benefit from the upsides, while protecting against the downsides. Together, we can create a transportation system that works for us all” (p24). The Upside – The Playbook identifies five possible benefits of new mobility. 1) If more people switch to transit and TNCs like Uber and Lyft, individual car ownership will decline, causing a potential savings of about $10,000 per household. Fewer cars per household will also reduce the need for parking, thereby freeing valuable urban space for more productive uses than housing automobiles that, on average, are only in use for one or two hours a day. Some of these liberated parking lots, lanes and structures could become people-oriented infrastructure like transit lanes, bikeways, wider sidewalks and greenspace. 2) New mobility can create more options for ride-sharing to and from transit hubs, solving the so-called first-mile/last-mile problem. 3) Ride-hailing services could provide more responsive, cost-effective service for selected locations at off-peak times. Although transit remains the most efficient way to transport large numbers of people, on-demand TNC service could better provide roughly 5 percent of the trips currently served by buses. 4) New mobility can provide greater equity by offering more choices for those needing to travel between places that are hard to serve by traditional transit. 5) If new mobility increases ride sharing (rather than just vehicle sharing), Seattle could shed up to 85,000 daily trips by 2030, significantly reducing climate-changing emissions. In addition, the Playbook foresees greater roadway safety in the future because robot drivers, unlike their human counterparts, will always obey speed limits and other traffic laws. The Downside – The Playbook also identifies five potential threats posed by the new mobility. 1) Ride-hailing added 6 million miles of travel to the streets of New York City in 2016 and increased VMT by 7% between 2013 and 2016. The Playbook reports that part of this increase is caused by taxis and TNC vehicles cruising, meaning searching for fares without any passengers, a problem that could become even more acute if autonomous TNC vehicles are roaming the streets without any humans inside. Policies are also needed to discourage passengers from taking longer trips in low-occupancy AVs. Otherwise, the outcome will be increased roadway congestion and additional climate-changing emissions. 2) The new mobility could increase rather than decrease inequality for a wide variety of reasons. New mobility platforms offering a limited selection of languages could overlook many foreign-born residents, which represent roughly one fifth of Seattle’s population. Without safeguards, TNCs could discriminate against particular individuals and neighborhoods. TNCs might also be prohibitively expensive or require passengers to have bank accounts or credit cards at a time when approximately 4% of Puget Sound residents are unbanked and 16% are underbanked. 3) The low cost and convenience of AV Uber, Lyft and other TNCs could erode ridership and fare revenues on transit, which remains the best means of high volume, long haul mobility. The result would be increased congestion and further declines in the use of high-occupancy modes. 4) The transition to AVs will eliminate work for thousands of human drivers, possibly so rapidly that new jobs will be unable to keep pace with unemployment. 5) AVs threaten privacy and expose public streets to technologies that are difficult to understand and vulnerable to hacking and deceptive manipulation. Principles for the New Mobility – After cataloging potential benefits and threats, the Playbook summarizes Seattle’s policies in five new-mobility principles. 1) People and safety remain the overriding goal, with pedestrians, bicyclists and transit given priority in the public right of way. 2) Diverse travel modes should create an affordable, convenient, dignified and even enjoyable traveling experience for a wide variety of users including those with mobility impairments, unusual travel schedules and nontraditional needs. 3) Mobility should promote clean transportation and correct the racial and social injustices often supported by transportation systems. 4) Seattle commits to creating a worldwide model for achieving climate action goals through clean energy transportation modes, including human-powered mobility. 5) Reasonable regulations will promote partnerships that lead to data infrastructure essential to planning for and adapting within an ever-changing transportation environment. The Playbook introduces each of its five strategy packages, or plays, with a stark comparison of a future that is left to chance versus one that is shaped by public policy. Play 1 aims to generate an equitable transportation system. Under a passive approach, new mobility has the potential to degrade public transportation, resulting in less mobility, particularly for the disadvantaged. Alternatively, the proactive scenario manages new mobility to deliver a transportation system with thriving transit and multiple mode choices that offer affordable access for all residents and treat transportation workers fairly. Play 1 encompasses six strategies promoting new mobility that serves disadvantaged communities, gives everyone access to app-based transportation, expands payment methods for new mobility, ensures access for the disabled, supports public transportation and creates linkages to, from and between shared mobility hubs. The Playbook’s Appendix A, Further Actions, provides greater detail about these strategies. Some highlights are as follows. Play 2 begins by cautioning that a “leave it to chance” approach could increase congestion, VMT, curb-space conflicts and a hostile street environment for pedestrians, bicyclists and people in general. However, “if we shape it” the opposite future could occur. The strategies in Play 2 aim to move more people with fewer vehicles and recapture more of the public right of way for public mobility and activation rather than car storage. Specifically, these three strategies would expand the public realm for people, reduce and ultimately end traffic deaths and support the efficient delivery of goods. Strategy 2-1 – First Move: Expand “pin drops”, meaning three-minute passenger loading zones at distinct curb locations that micro-transit and TNCs must use. Rather than reserving entire lanes for curb-side service, Seattle minimizes the amount of right of way devoted to cars so that it can maximize the public realm for people. Play 3 cautions that overregulation could needlessly impede innovation and create unintended consequences. Conversely, a thoughtful evolution of the Seattle Department of Transportation (SDOT) will be able to nurture innovation and respond to potential threats. This play involves several strategies related to risk management, partnership building and creation of an environment that encourages experimentation. Strategy 3.4 calls for the creation of new funding sources for transportation considering the “changing financial landscape” in general and the dwindling effectiveness of the gas tax specifically. The Playbook notes that the State of Washington will have to authorize congestion pricing and pay-as-you-go revenue models. The Playbook identifies several sub-strategies. Fee strategies for TNCs and car share companies that promote higher-occupancy use and congestion pricing. Investigate congestion pricing for all vehicles. Strategy 3.9 calls for a transportation demand management (TDM) ordinance to improve the chances that greater vehicle sharing will occur alongside higher per vehicle occupancy, thereby controlling VMT, congestion and pollution. Significantly, the Playbook suggests that the impact of increased TDM requirements might be softened by being coupled with reduced parking requirements. “Use future TDM ordinances to relax or completely remove parking requirements and encourage low parking construction in areas with parking maximums” (Seattle 2017, p32). Play 4 warns that a passive approach to data infrastructure could derail attempts at service interoperability and leave systems susceptible to cyber attacks. Conversely, a proactive stance allows prototypes to scale rapidly and fail gracefully while giving city residents easy mobility without the need to own a car. In this play, Seattle commits to facilitating the development of state-of-the-art Mobility as a Service (MaaS) in which travelers can easily compare all alternative modes of reaching a destination and the associated travel times, costs and environmental impacts. Strategy 4.4 calls for the development of a MaaS system capable of “nudging” travelers toward mode options consistent with city goals such as price cues that encourage users to choose high-occupancy vehicles and travel during off-peak times. 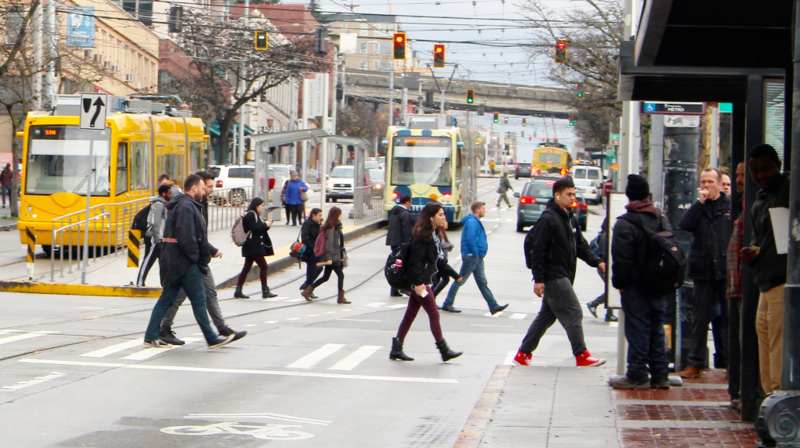 As an implementation and regulatory consideration, The Playbook proposes that MaaS development and administration be supported by revenue from a wide variety of SDOT assets including curb space and managed lanes. Play 5 recognizes the potential for a reactive posture on innovation to lock the city into dead end technologies. However, by shaping the future, Seattle aims to anticipate and adapt to the changing landscape to maintain vibrancy, safety, affordability and cleanliness. Strategy 5.1 calls for the adoption of the Automated Mobility Policy Framework as an ordinance in order to maximize the impact of the city’s goal of putting the highest priority on walking, bicycling and public transportation. The Automated Mobility Policy Framework reiterates the potential benefits of AVs while warning that, without guidance, this technology could also exacerbate congestion and land use impacts. Significantly, the Framework stresses the need to guide automated mobility to achieve the core values of becoming a safe, interconnected, vibrant, affordable and innovative city using “…an intentional, outcome-driven, and anticipatory approach to policy direction” (Seattle 2017, p C4). As a result, the Framework articulates the following Principles for Automated Mobility. 1) People First: Streets should give priority to people who walk, bike and use transit. 2) Dignity and Happiness: Simplify and enhance transportation, offer mobility choices and accommodate people with impairments and non-traditional schedules. 3) Race and Social Justice: Correct past injustice within the transportation system. 4) Clean Mobility: Pursue climate action goals. 5) Fairness: Maintain data infrastructure that is fair and capable of adapting to changing technologies. Nurture partnerships with a fair regulatory environment. Building on these Principles, the Framework offers 47 policies with six categories: Regulation and Parameters (RP), Equity and Accessibility (EA), Pilots and Partnerships (PP), Infrastructure and Street Design (IS), Mobility Economics (ME), and Land Use and Building Design (LB). The following examples highlight how concern for core values generates sound policies to guide the deployment of AVs. Policy RP1: The “people first” principle guides this policy, which creates the following hierarchy of priority in public rights of way. Policy RP3: In one of several objectives, this policy states that Seattle reserves its ability to distinguish between high-occupancy and low-occupancy AVs when allowing access to transit lanes and peak period smart lanes. Policy RP5: This policy calls for the creation of congestion management zones in which low-occupancy vehicles or zero-occupancy AVs would be subject to restrictions and/or price differentials during peak travel periods. Policy IS1: This policy commits the city to expanding corridors and zones exclusively for walking, bicycling, transit and high-occupancy automated vehicles. Policy ME1: This policy envisions future road user financing as an inevitable successor to gas taxes. In addition to raising revenue, Policy ME1 proposes a per-mile road use pricing mechanism for highly congested areas that promotes various principles including climate action, putting people first and ensuring effective, affordable mobility for all. Specifically, this mechanism would impose the highest prices on zero-occupant AVs followed in descending price order by single-occupant AVs and AVs with fewer than three occupants. No surcharge is proposed for AVs carrying three or more passengers. Policy ME4: This policy continues the city’s Transportation Demand Management (TDM) programs in order to motivate high-occupancy vehicle trips. Policy ME5: Commits Seattle to evaluating infrastructure financing alternatives including zero- and low-occupancy fees, curb-side dwell time fees, per-mile road user charges, cordon tolling and peak period surcharges. Policy ME 6: This policy calls for road user fees to offer discounts or incentives for AVs with three or more passengers. Policy LB4: One part of this policy proposes that the cost savings to developers created by parking requirement reduction/elimination be redirected to affordable housing and TDM. Seattle should be celebrated for getting ahead of AV deployment with a planning process that produces a comprehensive framework of thoughtful and often ambitious policies. The takeaway, however, is not the results of this effort but the process itself. Seattle took the time to understand AV benefits and threats and evaluated alternative strategies based on its core values and vision. Consequently, Seattle was able to make choices that otherwise might not be possible. Furthermore, by thoroughly documenting its research and decision-making process, the New Mobility Playbook is much better positioned to withstand the scrutiny and opposition likely to be generated by some of these policies. Most importantly, this process illustrates the wisdom of not passively leaving AV rollout to chance but rather proactively shaping the future. In the 20th century, we allowed cars to dominate our cities and our lives. We are getting a do-over. Like Seattle, all cities should be using the planning process to ensure that AVs serve people rather than the other way around.